Bali police said Monday they had intercepted a huge haul of Australia-bound cold relief tablets that contained a key ingredient for making illicit drugs. Some 600,000 pseudoephedrine tablets being sent from South Korea to Australia were found during a stopover on the Indonesian resort island, they said. The bust happened in January but was announced Monday. Indonesian authorities said they were tipped off by their counterparts in Australia. Bottles of the pills, weighing nearly 140 kilograms (310 pounds) in total, were labelled as health food, authorities said. 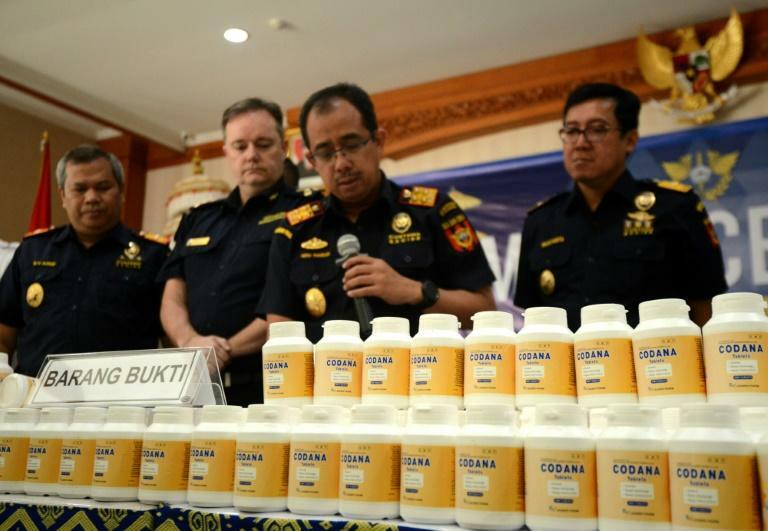 Lab tests done on the seized drugs confirmed they contained pseudoephedrine, a precursor for making methamphetamine and other illegal drugs, said Indonesian customs director general Heru Pambudi. A resident of Australia, who was not identified, had been arrested by Australian police over the haul, Pambudi added. Indonesia has some of the toughest drug laws in the world. Foreigners are regularly caught trying to bring drugs into Bali and some have been sentenced to death. In the first half of 2018 alone Bali's customs office said it had seized 3.9 tonnes of drugs and ingredients used as methamphetamine precursors that were being smuggled through the island.